Hey everyone, I'm kinda new to the forums and just got prescribed Accutane so I thought I'd share my experiences just as many of you do. I probably won't post every day, but I'll try to update at least once a week. Okay a little background information: My name is Max, I'm a college student in northern Arizona and I'm 18 (almost 19) years old. In the past I've tried tetracycline and topical treatments such as Retin-A, however never achieved the results I wanted. 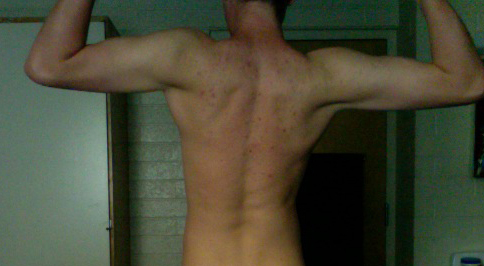 A couple years later I finally was fed up and was off the to the dermatologist one more time. 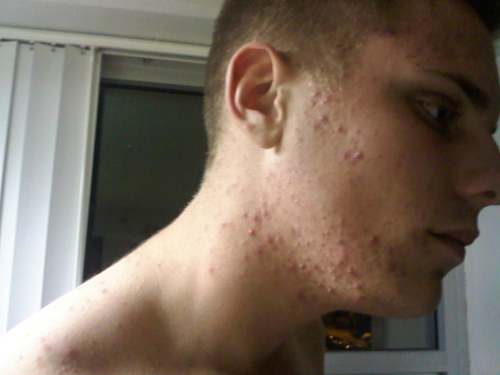 She was convinced that I was great candidate to be on Accutane. 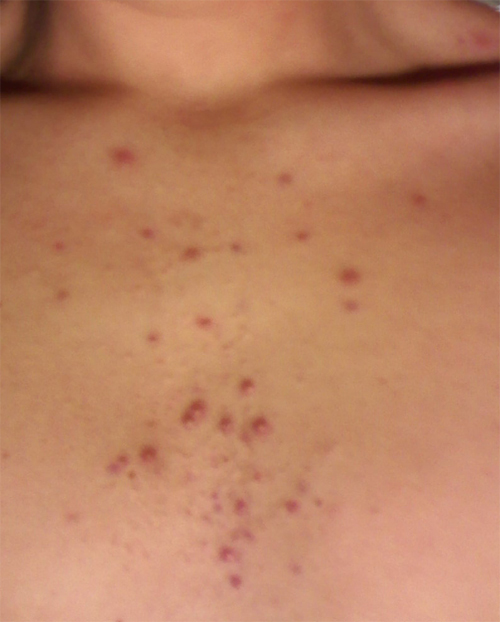 I have moderately bad cystic acne on my neck and back, as well as pimples all around my face. She started me off with a dosage of 40mg of Amnesteem every day for the first month. I have my next consultation in a few weeks. 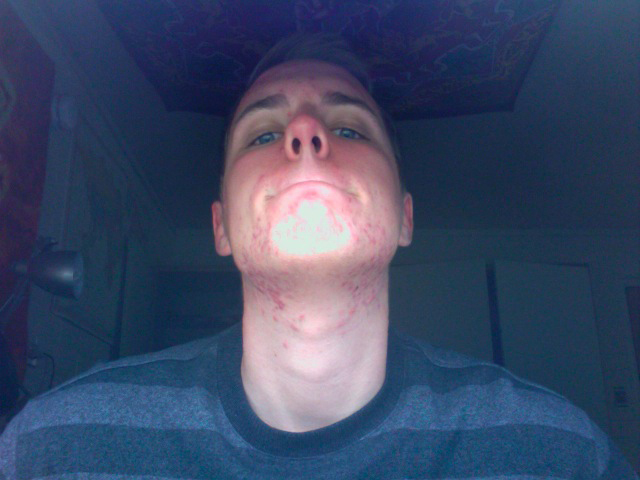 This is my 4th day on Accutane and I'm not experiencing many side-effects. 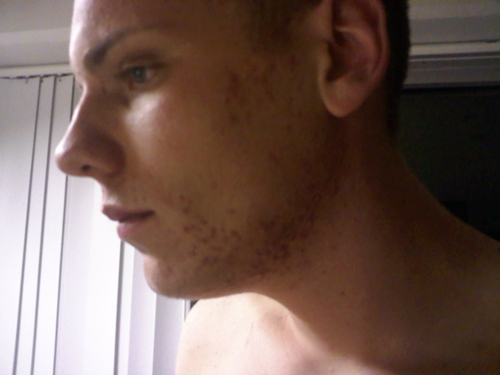 My lips are dry, I felt like I had sunburn one night, and a couple minor headaches but nothing big. 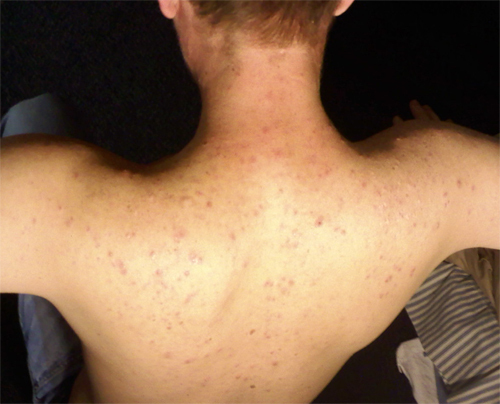 - What are good vitamins to take while on Accutane? Are they necessary? I've tried to research but I can't seem to get a real clear answer. - What is a good body wash to use just regularly in the shower? Is something as simple as Dove bar soap okay? Thanks for reading & good luck to everyone! - Drink a ton of water. I can't stress this enough, I broke out really bad around days 7-14 and I started drinking over a gallon of water a day around the two week mark and I think it's really worked wonders. My skin is less dry, my face is clearer, and my IB didn't last too long at all. I just keep a full jug of water with me for most of the day and take drinks every 5-10 mins. It helps! - Get some aquaphor and CeraVe body cream. Aquaphor for the lips and inside the nose (trust me you're probably gonna need it in for your nose especially in Arizona) - and the body cream is great to use at night before bed. I started using the CeraVe a couple weeks ago, and my face stays pretty flake free during the day, even without moisturizing. 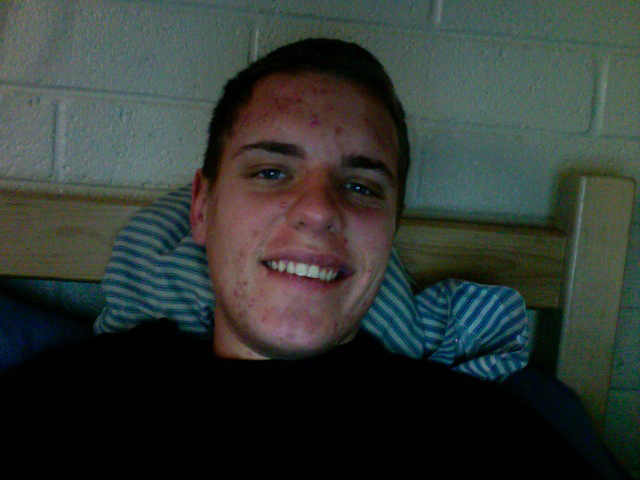 In fact, since I've used the CeraVe at night, I haven't had to moisturize my entire face during the day, which is great! - Take fish oil pills. It will help with your joints, and it's just good for you, period. Hope this helps, good luck on your course!! So today is day 35... Sorry I haven't updated in a while but I wanted to show you guys my progress after the first month. I'm now taking 80mg Amnesteem for the next 5 months of my treatment. I have also been prescribed Keflex (Cephalexin) which I will take three 500mg capsules, 3 times daily for 10 days. My blood work was fine, and is well to continue my treatment. 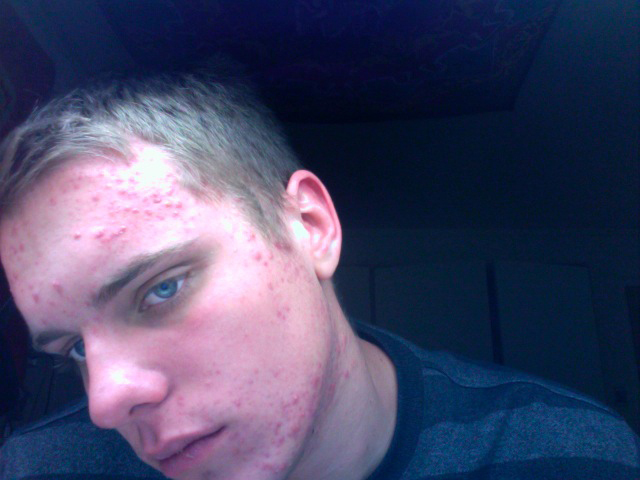 As far as my acne looks.. I have had a pretty bad initial break out but I seem to be getting better by the day. 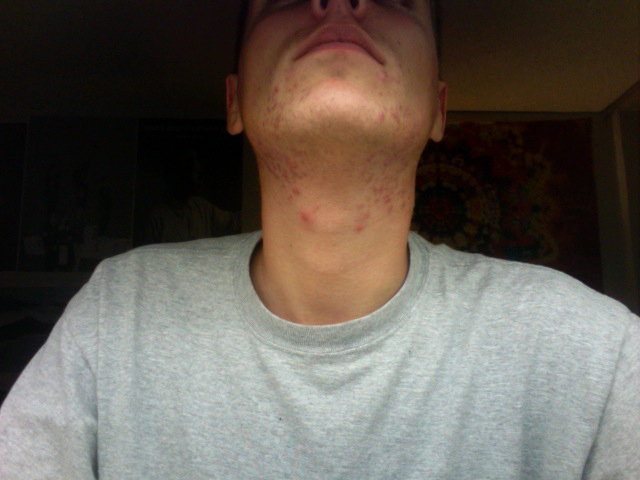 New pimples everyday and everywhere, including my face, neck, chest, and back.